October 1914: the destroyer Svea emerged from the Stockholm archipelago bearing south-south-east. On board was Lars Tobiasson-Svartman, a naval engineer charged with making depth soundings to find a navigable channel for the Swedish navy. As a child Tobiasson-Svartman was fascinated by measurement; nothing is as magical as exact knowledge. When archaeologist Louise Cantor’s son Henrik is found dead in his flat, she refuses to believe it was suicide. Clues that only a mother could detect lead her to believe something more sinister took place. Henrik had kept many things back from her and she is shocked to learn he had contracted HIV. The only lead is a letter and photograph from Henrik’s girlfriend in Mozambique. Louise’s quest to unravel the mystery surrounding her son’s death takes her to Africa. Tea-Bag, a young African girl, has fled a refugee camp in Spain for the promise of a new life in Sweden. Tania has made a long and dangerous journey to escape the horrors of human trafficking. Leyla has come with her family from Iran. All of them are facing different challenges in their new home. Meanwhile, celebrated poet Jesper Humlin is looking for inspiration. Harried by his mother and girlfriend, misunderstood by his publisher and tormented by his stockbroker, Jesper needs a new perspective on life. The figure approaching in the freezing cold is Harriet, the only woman he has ever loved, the woman he abandoned in order to go and study in America forty years earlier. She has sought him out in the hope that he will honour a promise made many years ago. Now in the late stages of a terminal illness, she wants to visit a small lake in northern Sweden, a place Welin's father took him once as a boy. He upholds his pledge and drives her to this beautiful pool hidden deep in the forest. On the journey through the desolate snow-covered landscape, Welin reflects on his impoverished childhood and the woman he later left behind. However, once there Welin discovers that Harriet has left the biggest surprise until last.Italian Shoes is as compelling as it is disturbing. 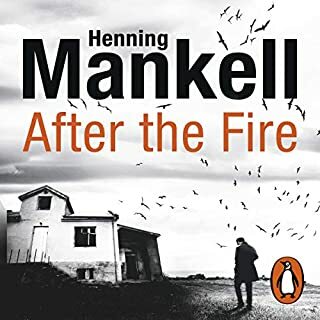 Through his anti-hero Welin, Mankell tackles ageing and death with sensitivity and acuity, and as with the critically acclaimed Depths, delivers a moving tour-de-force on the frailty of mankind. 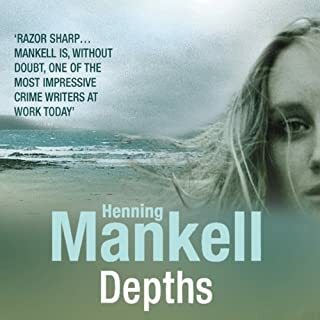 After having finished reading Henning Mankell's novel "Depths" a few months ago, I felt strangely sad because I had the feeling that this exceptional book would probably be just a one-off by the Wallander author. However, with "Italian Shoes" Mankell did it again. Although about aging, sickness and death, this novel is extraordinarily positive and in parts even funny. 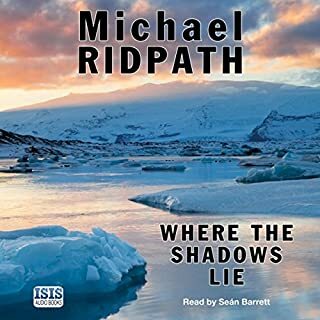 The warmth of this introspective tale of an old man who gets finally confronted with a past he fled long ago is superbly enhanced by Sean Barrett?s powerful narration and, of course, Laurie Thompson?s excellent English translation. 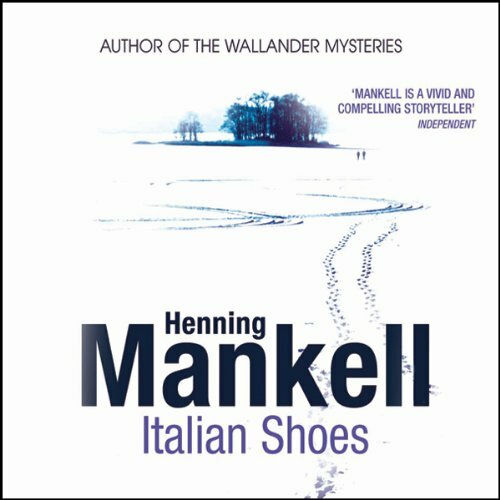 With "Italian Shoes", Mankell is once again on par with his Nordic peers Jostein Gaarder, Peter Hoeg or even Knut Hamsun. 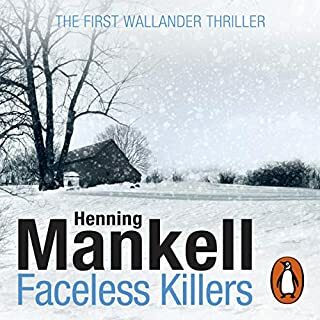 The Wallander books are by all means great but they have "branded" this author in such a way that "Depths" or "Italian Shoes" are quite unexpected -- which might lead to misunderstandings with readers who are just after a good crime read. 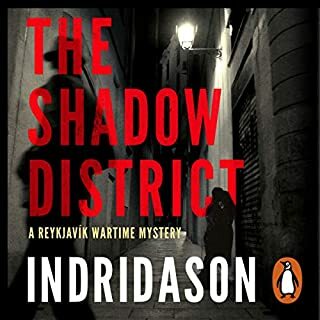 This book is so different from the dark and brutal Inspector Wallander series of books it amazes me how it could be the same author. This book is like a slow walk in the park it meanders on without offense. It talks of the life of a retired surgeon who has hidden himself away on his ancestral island and how one decision he made many years before comes back and changes his life forever. Nothing especially happens in this book it is just a gentle tale of an old mans life and how new people enter it and change him forever. It end a little abruptly as I found in a previous Mankell Novel, leaving you with plenty of questions but it is not a bad thing. The book has charm and if your looking for a gentle story that you can listen to with ease then give it a try. This book is on a different level from Wallander, it is well constructed, and thought through. Sean Barrett is a supreme deliverer of Mankells prose, however the theme is somewhat depressing, as it seems to revolve around death. It wasn't helped by the lack of a plot, we just drifted through the book, wondering how our hero would resolve his life. He started out on his island in self imposed exile, missed great chunks of his life whilst he was there stewing in his self pity, missed out on his daughters childhood, blaming his girlfriend because she hadn't told him she had had his child, though why he had expected that, is beyond me as he had basically walked out on her with no explanation. The dots of his life begin connecting after the long suffering girlfriend arrives at his island, terminally ill and through this encounter he meets his daughter, and we discover why he has run away to the island all those years ago. So it drifts on, all the time the greyness of the Scandinavian winter swirls around us, and the gloom descends. 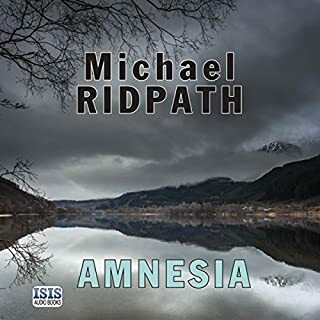 I felt encumbered by gloom and thoughts of my own mortality began to creep into my thoughts whilst listening,so much so I turned off the audio, so I could return to the sunshine. The book is well written, and I love Sean Barrett's delivery, but I just wanted to cry. 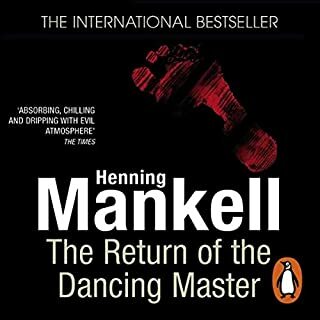 If you’ve listened to books by Henning Mankell before, how does this one compare? Sean Barrett has a deep melodic voice. Apart from that if I was reading this book I would struggle with pronouncing names and places, which would frustrate me. Could you see Italian Shoes being made into a movie or a TV series? Who would the stars be? No it would be very depressing and probably account for a number of suicides. 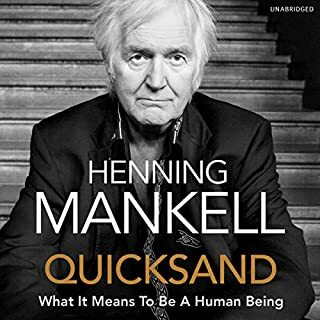 It hasn't put me off Henning Mankell, I just think that he must have written this book when he himself was facing a crisis of his own. 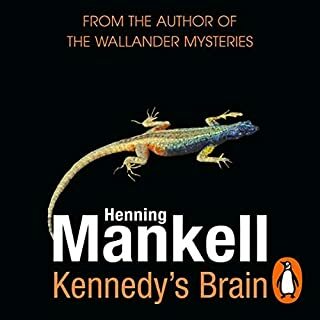 Not exactly a light and airy book but then again I wouldn't expect that from Henning Mankell. In the end I was caring for the characters and rooting for them which is a good sign for a book of this demeanour. I would have made it lighter, but then again I haven't sold a book, Henning has sold millions so something works. I would, probably on my own though. Would you try another book written by Henning Mankell or narrated by Sean Barrett? I have listened to all the Wallander books available, and love the stories and Sean Barrett's narration. Sean Barrett read this book as well as usual and I did listen until the end to find out what happened. 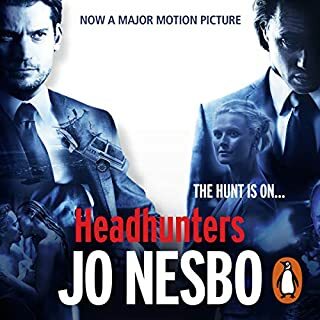 I enjoyed the fist part of the book and was interested in the main characters, but as the book went on I just found the whole thing far too bleak. I think was was to do with not liking or empathising with any of the characters enough. All in all, a depressing experience! 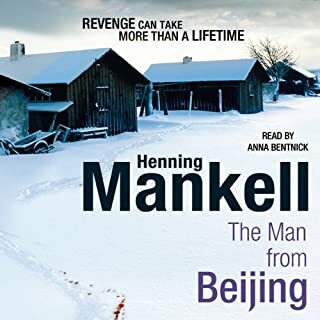 Would you ever listen to anything by Henning Mankell again? All of them, bar this one! Did Italian Shoes inspire you to do anything? Love, loss, life.... compelling listening. Who knew life on a quiet island could be so mesmerising! I have always enjoyed Mankells books but to be honest I struggled with this one. I finished it but have been left with an unsatisified and somewhat depressed feeling - it seems death just invades the whole book and even the wonderful reading of Sean Barrett does not lift the dark atmosphere. 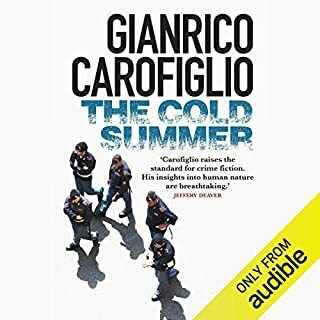 Would you consider the audio edition of Italian Shoes to be better than the print version? I thought the postman was an excellent character, his delight at finally being ill was evident and reminded me of a postie we once had. Sean Barrett always reads so well and it is no different with this performance. He conveys the nuances of the work very well and brings across the mood of the characters superbly. The visit to the pond was a stand-out moment. 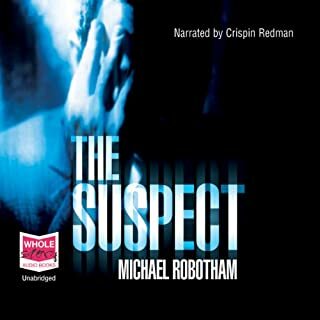 As with Mankell's later Wallender novels there is a darkness about his characters, the various events and reactions lend to this. There is a hint of redemption at the end but overlaid with an inevitability that there will be an end. Jolly stuff. An amazing, ethereall, thought provoking book. 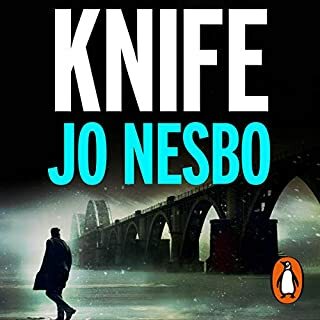 Very different from any Walander novels, but something of the tone carries over. Outstanding narration also. Sean Barrett is a truly gifted Narrator and, once again, he takes Mankell readers on a deeply moving, original and authentic exploration of the human condition. Mankell understands the inner-worlds we all inhabit without being diverted into cliche or indulgence. His descriptions of the Swedish landscape and season augment the narrative beautifully. Highly recommended. 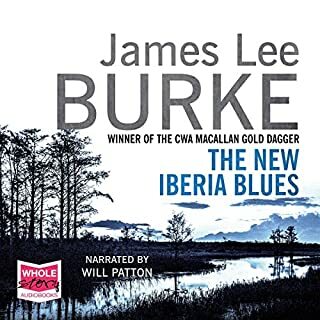 I have just finished listening to this extraordinary book. 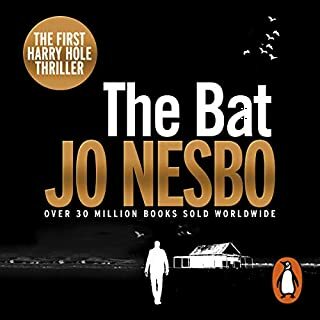 It is unlike anything else I have read by Henning Mankell and I loved it. It is a story of lives meeting, parting and intersecting; of love, trust, betrayal and forgiveness, which provokes and moves. 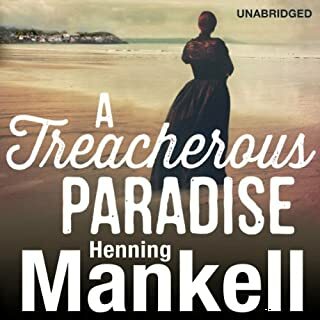 Mankell has created a work that challenges predjudice and pre-conception and which generously salutes our shared humanity but he does so with his usual vigour so we are never bored. Brilliant. I salute too the narrator Sean Barrett who reads beautifully and with his usual intelligence and understanding. I also want to get my feet into some of those Italian Shoes!